It really is the little things that get me most excited around the holidays; an evening stroll on a fully decorated, shiny, well-lit street, putting up ornaments while listening to carols, and having the intoxicating scent of cinnamon and nutmeg escape the stove while baking. It really is a special time of year! is important to slow down and really take it in, to enjoy the little things, and really focus on what we do have. 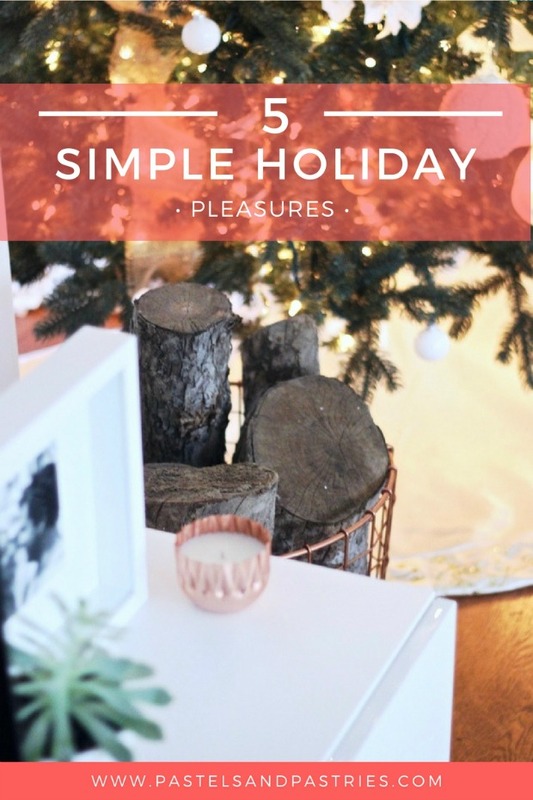 In hopes of slowing down this holiday season, I put together a list of five things you can do to make the most out of the holiday, and really embrace the season, instead of letting it pass you by. 1. Get in the spirit by decking the halls. I love decorating and listening to classic Christmas music. The OC 'A Very Merry Chrismukkah' has been my go-to album for years! I leave it on repeat since it's so catchy. This year I am loving 'A Very She & Him Christmas' from Zooey Deschanel and musician M.Ward. Zooey has such a jazzy, soulful, yet playful voice. 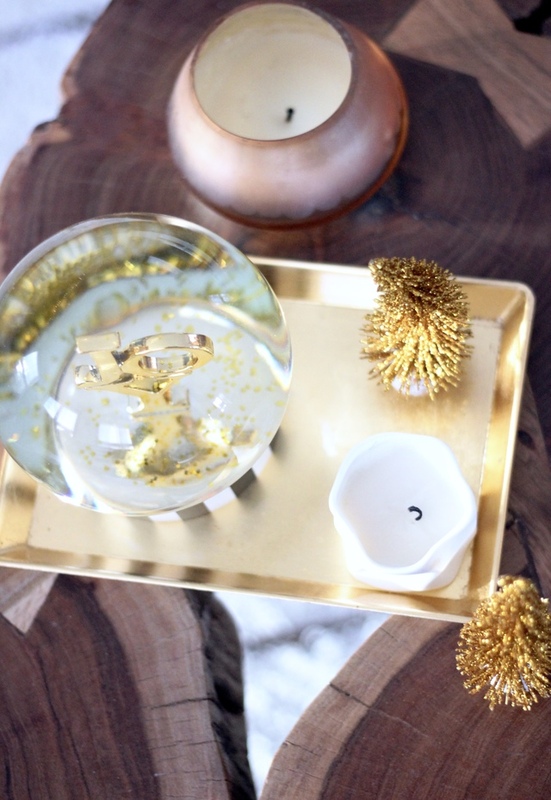 Perfect for a date night in while setting up the tree! Also, keep in mind you don't need to go overboard with decorations, either! Something simple as a bit of greenery, a candle, and lights is all you need to get in the festive spirit. 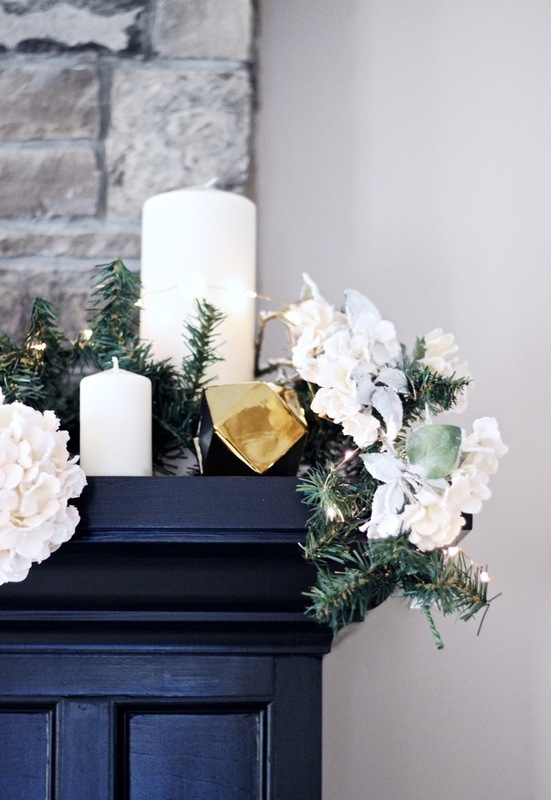 I've been adding touches of greenery, and outdoorsy elements such as pine cones and branches all over the house. 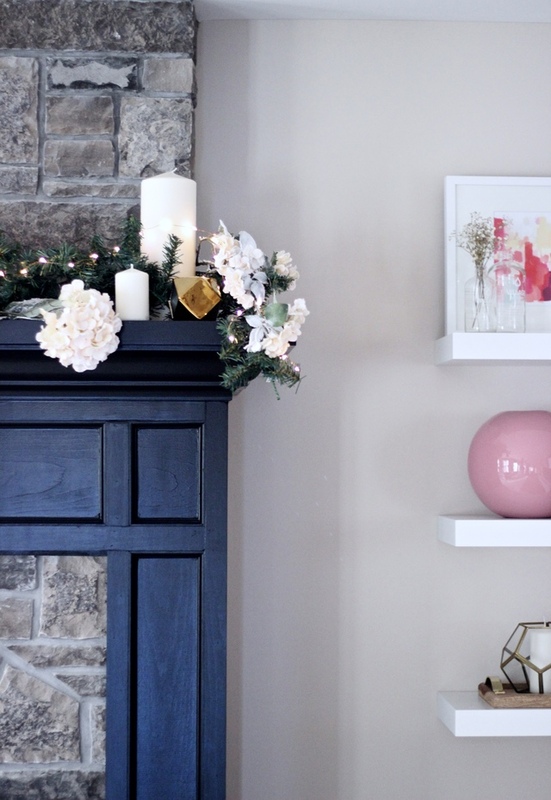 It's a simple, budget-friendly way to decorate. I also added some faux flowers to our mantel. I couldn't resist the blush pink colour! And these twinkling string lights from Indigo really elevate the space! 2. Get together with friends. You can take it among yourself to host a holiday get-together, but if hosting a get together it too intimidating for you, not to worry! Surrounding yourself with loved ones is all that matters, and meeting up for a coffee date is the perfect solution. I know that when I meet up with my friends for even a simple coffee I like to indulge a little bit, especially during the holidays. McCafé's new seasonal menu offers the perfect, festive specialties that you would want this time of year. Think-- Salted Caramel Latte, sweetened with salted caramel syrup and topped with sea salt and caramel, or the Peppermint Mocha, sweetened with peppermint mocha syrup, topped with real whip cream and -yes- crushed candy cane! I love that the beverages are made with 100% fine arabica beans, so you really get that full-bodied, high-quality espresso taste! You can't go wrong with the side authentic French croissant or double chocolate pie from the McCafé Bakery. Getting together with friends, old or new, is always special this time of year. Why not make it extra special with McCafé? 3. Visit a Christmas Market. Every year we try and make it out to the Christmas Market in the Distillery District. It's just fun to walk around and surround yourself with Christmas cheer and others who are fully embracing the season. There is the homemade goodies, mulled wine, the carollers, the large Christmas tree and the classic European charm to enjoy. The vibrant energy is contagious! Many other towns have Christmas markets set up for the season. Make a point to get out to one of them! 4. Get Giving. After all, it is the season of giving. Surprise someone with homemade treats, pay for the person's coffee behind you in line, donate to a children's shelter, spare some change for the homeless. Sometimes you have no idea on the impact doing something unexpected and special for someone else will have. It's the littlest thoughts that count and can really make you realize just how lucky you are. 5. Just stay in. There is nothing wrong with wanting to curl up by the fireplace with a Christmas movie on TV and a cup of hot chocolate. In fact, that's what I'm doing right now! Put some cookies in the oven (try my aunt's famous Sugar Cookies with Royal Icing or my favourite White Chocolate Stuffed Ginger Molasses Cookies), and put on your favourite movie. Try to enjoy the holidays at a slower pace this year and embrace the little things that mean the most. Thank you to McCafé for partnering with me on their festive campaign! All opinions and thoughts are, as always, my own. Aw I'm so glad! Happy Holidays, Clarissa!